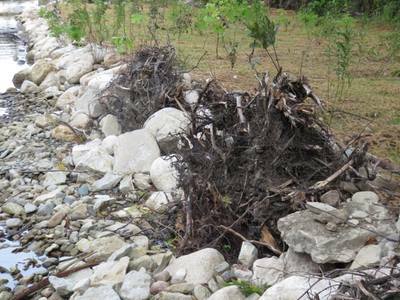 By September 2018 we have completed our restoration work at Site KAG 172 & 174 on the Kagawong River. 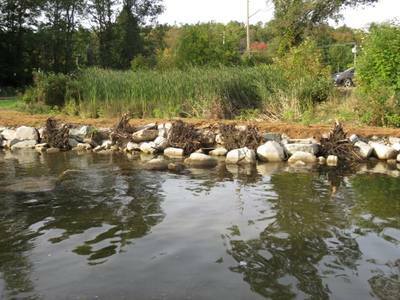 *Work had to take place to remove the island created by sediment deposition which was causing erosion near the bridge abutment. 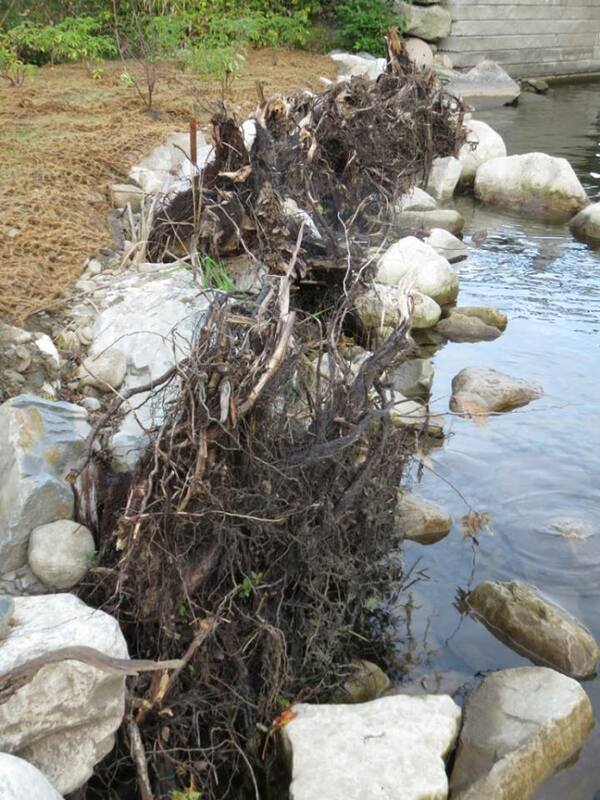 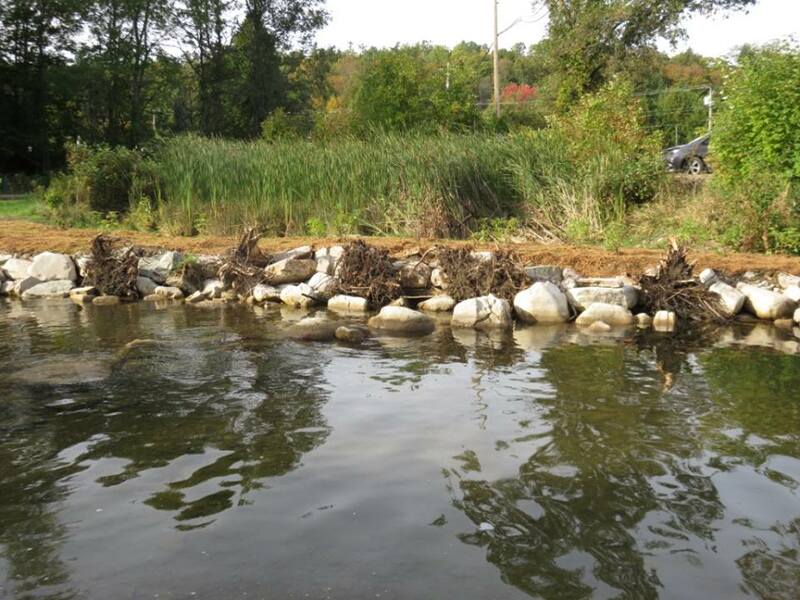 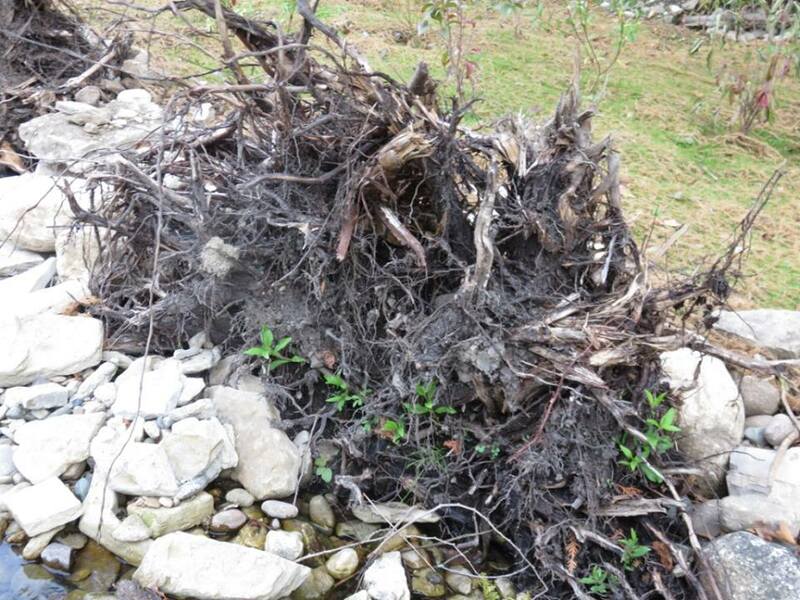 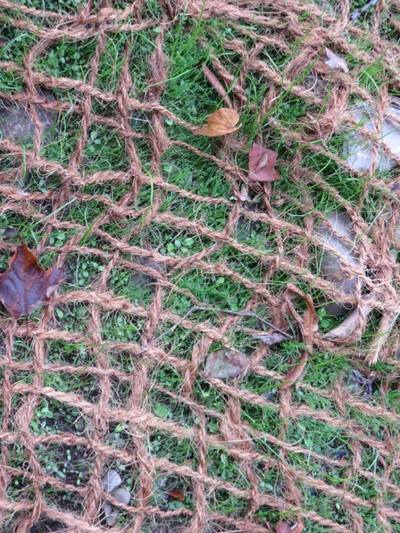 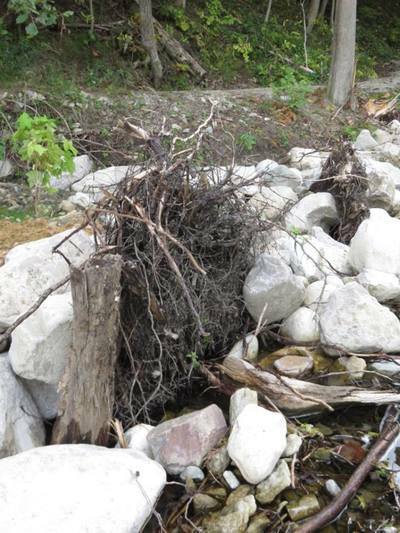 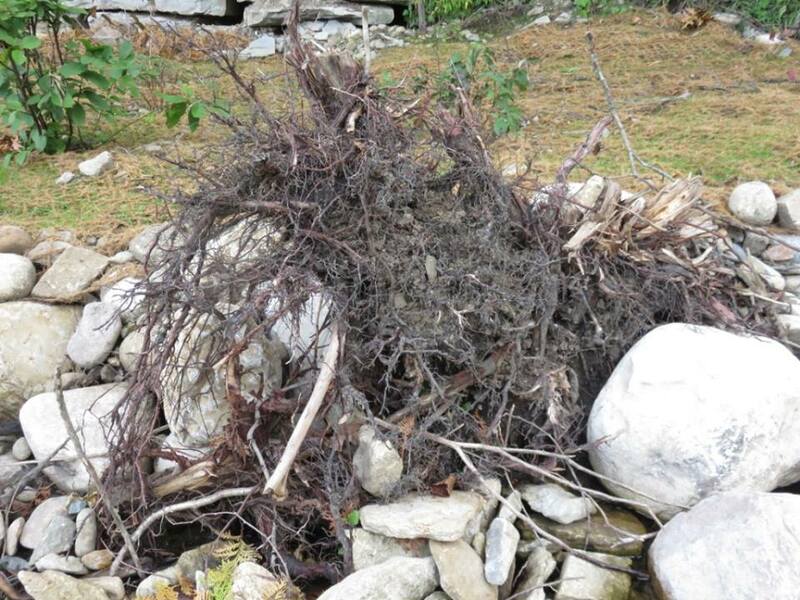 *Root wads were placed in to prevent erosion and provide fish and invertebrate habitat. 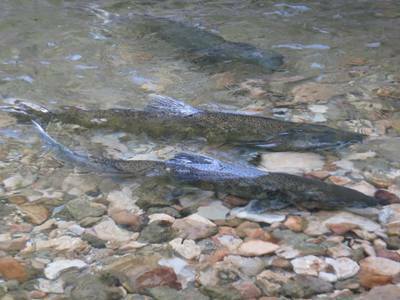 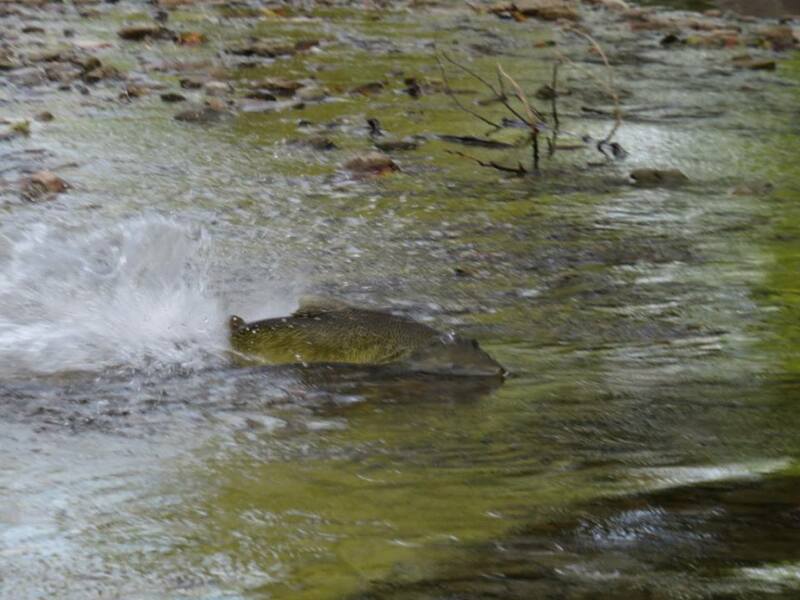 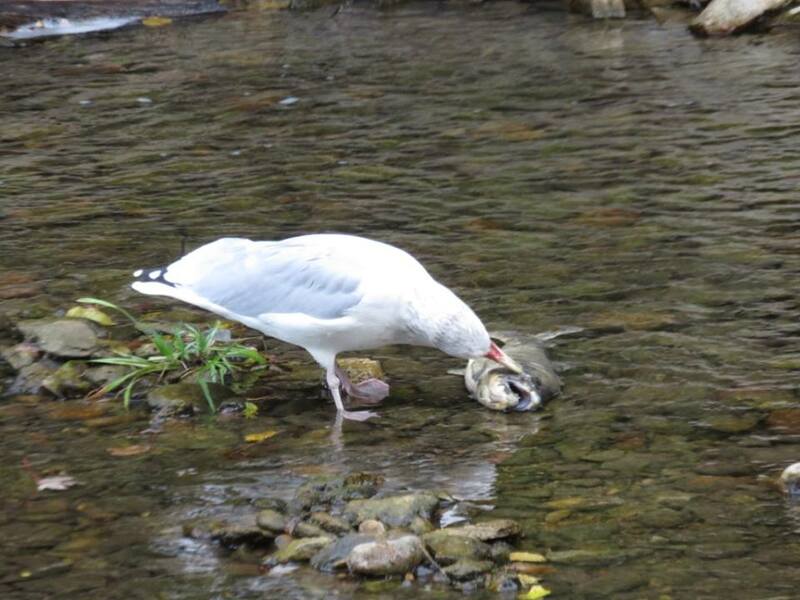 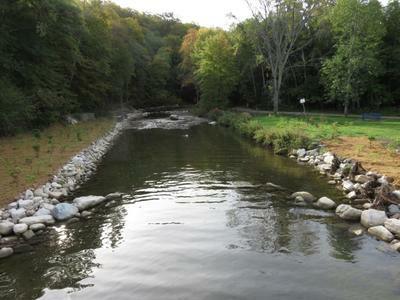 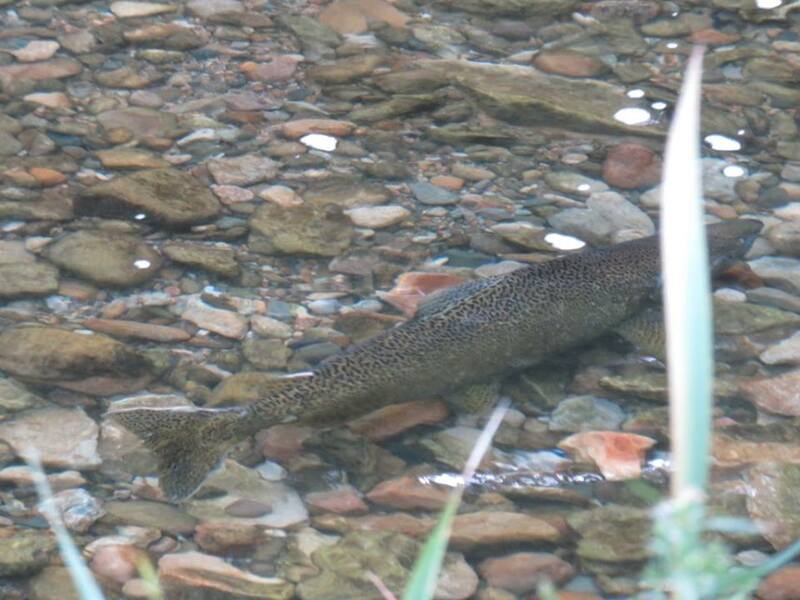 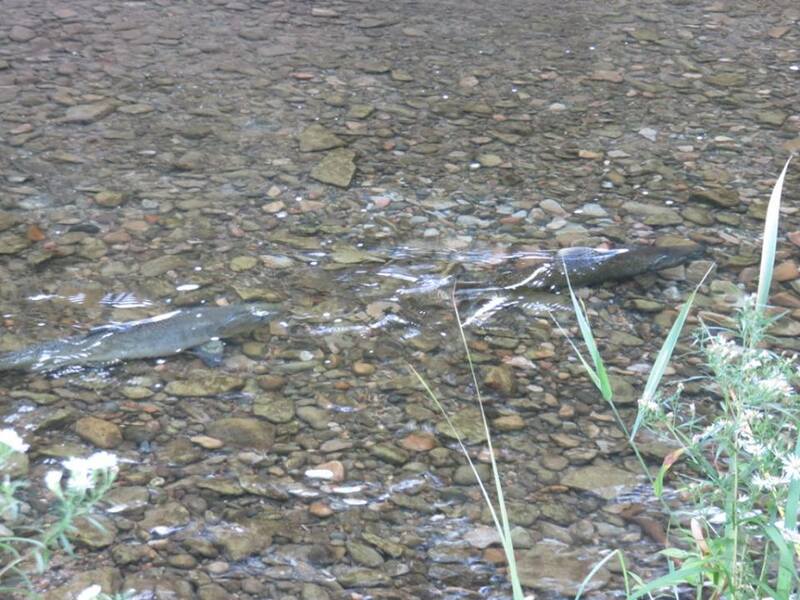 *Two vortex weir's were installed to create pools and clean sediment from the spawning habitat. 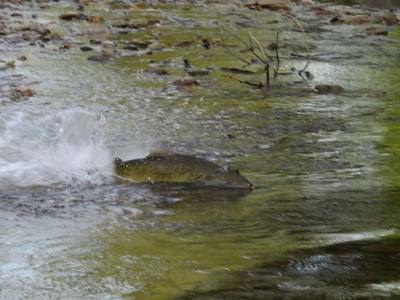 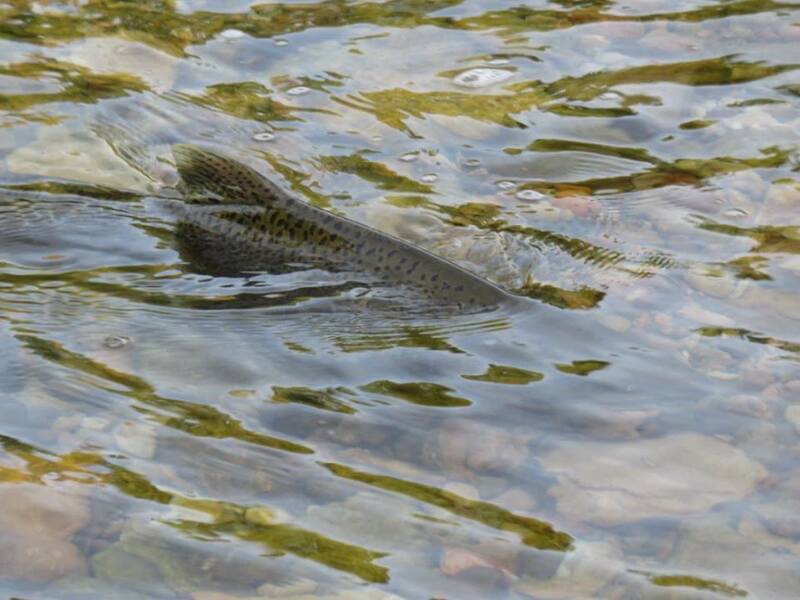 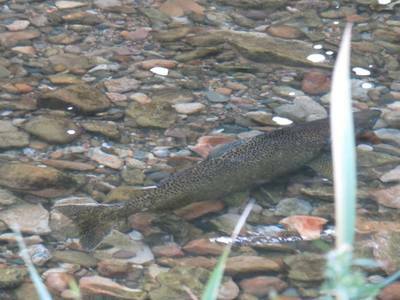 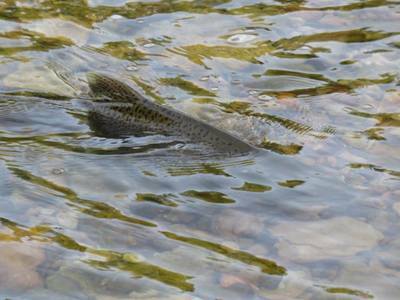 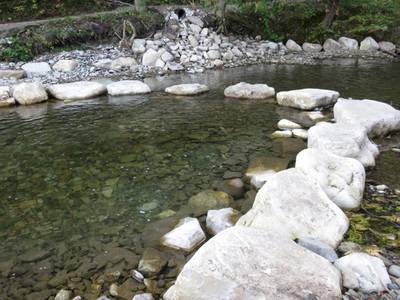 They also help to direct the flow into the center of the stream. 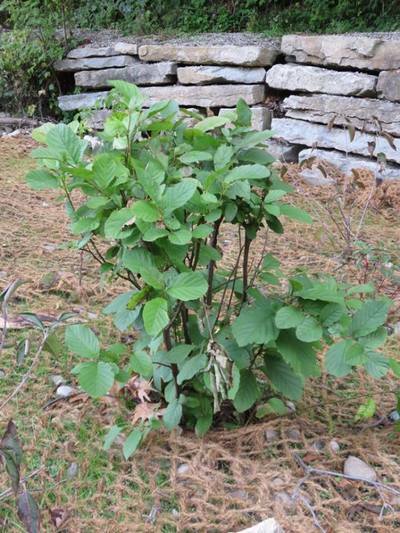 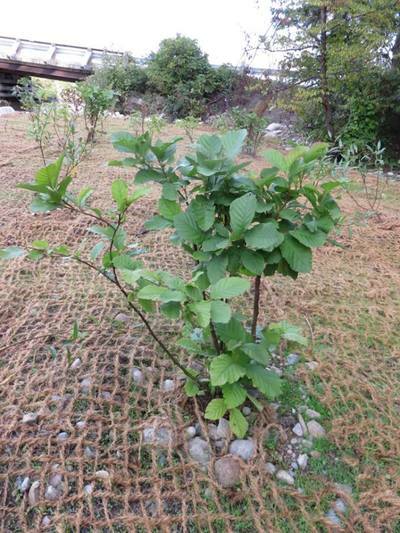 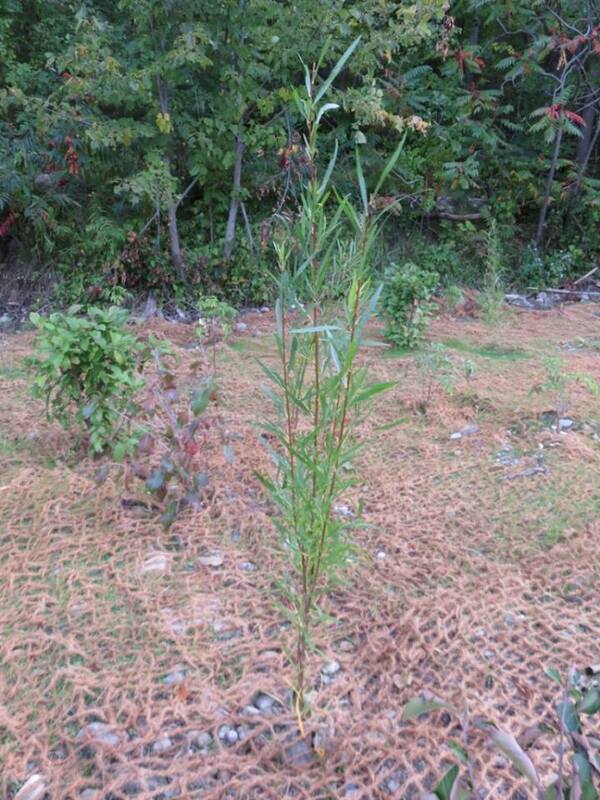 *897 trees and shrubs were planted with the help of the Gore Bay Fish and Game Club, C.C. McLean grade 4-5 class and wonderful volunteers. 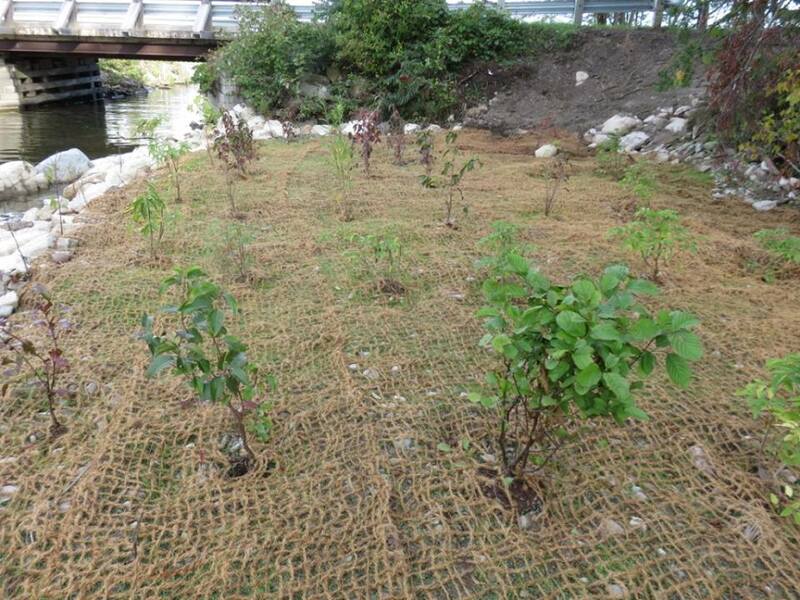 *Coconut coir mat was installed and seeded. 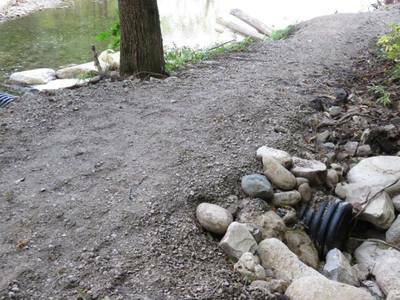 *Two culverts were replaced along the walking trail to prevent erosion. 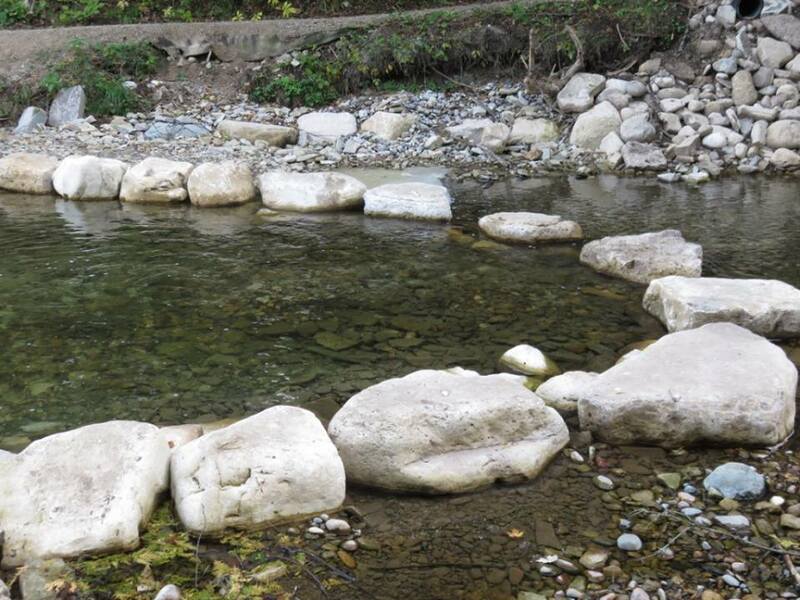 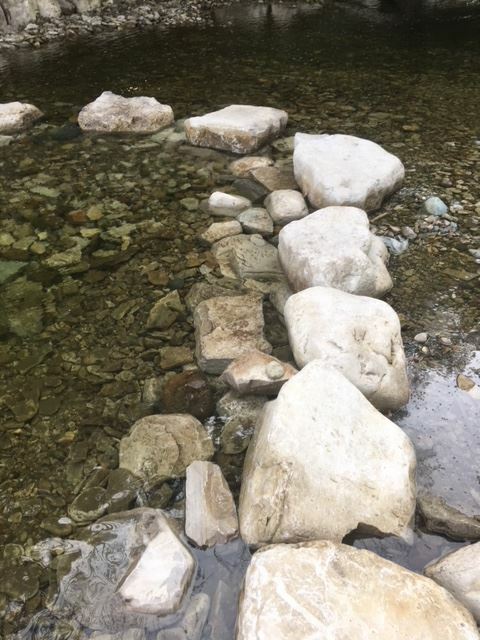 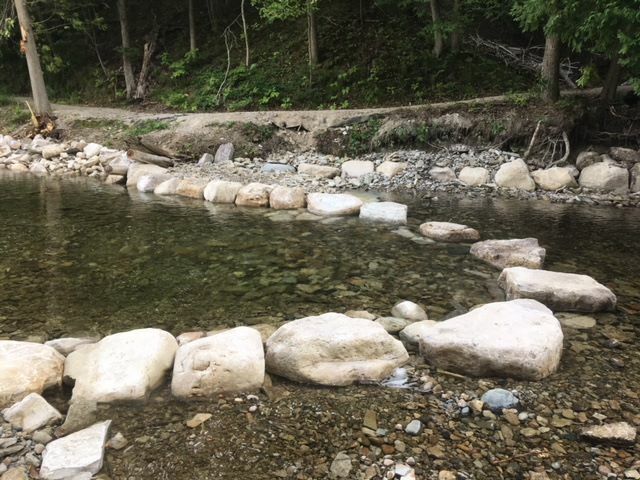 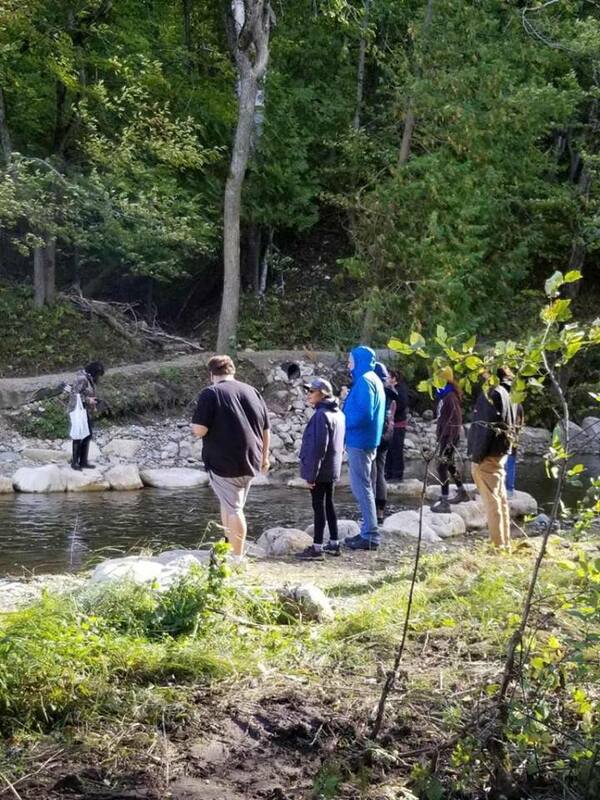 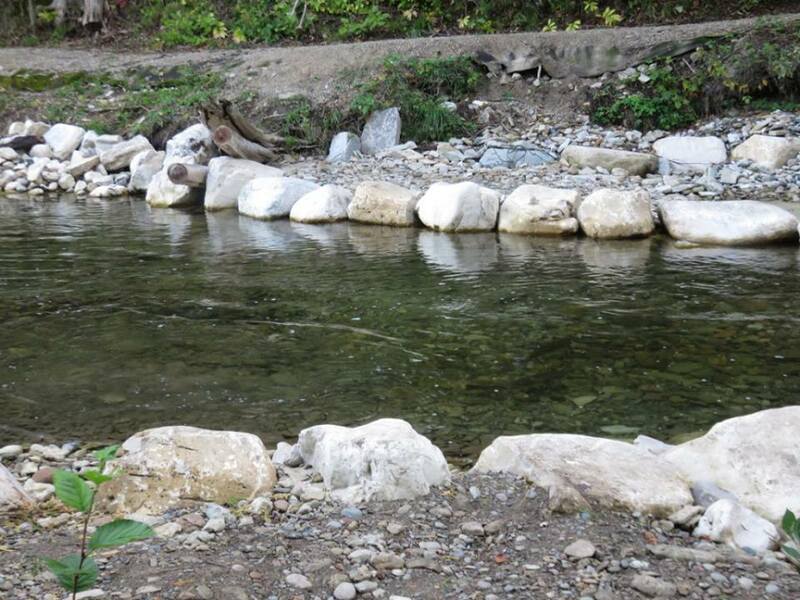 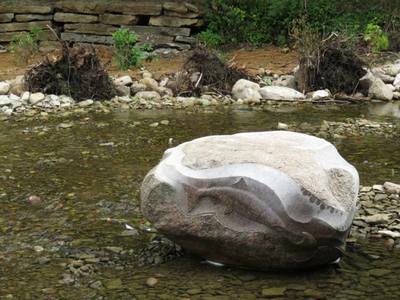 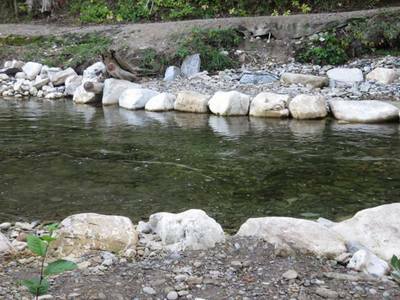 *Large boulders were installed along corner bends of the river. 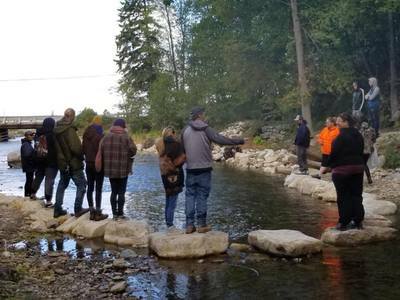 *A viewing platform was installed to watch the salmon spawning and to view the beautiful rock carving by Michael Belmore entitled "Replenishment". 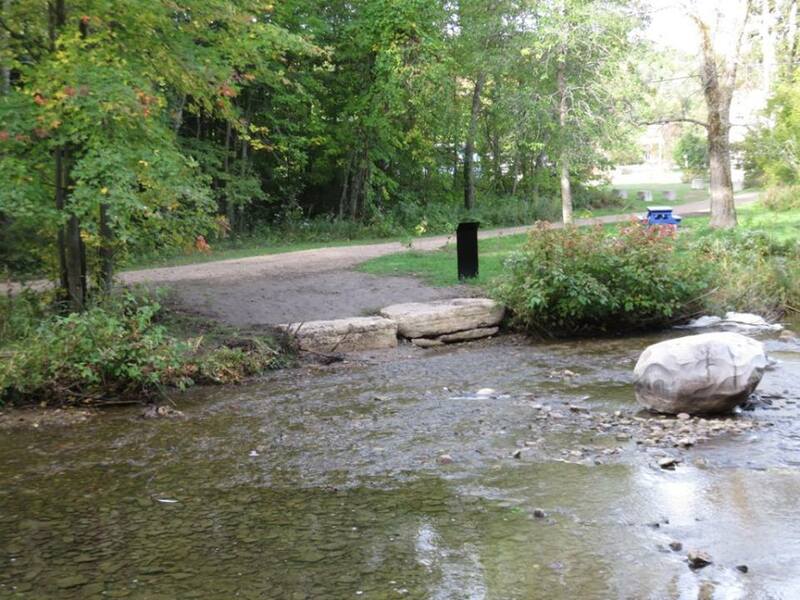 Thank you to the Township of Billings and all our funding partners and everyone that helped out!